Our food is all about getting back to basics, using local, seasonal and fresh ingredients in recognisable dishes - keeping to traditional, classic pub flavours - but with a unique twist. We have a wonderful new head chef, Gerald Mylius on board. 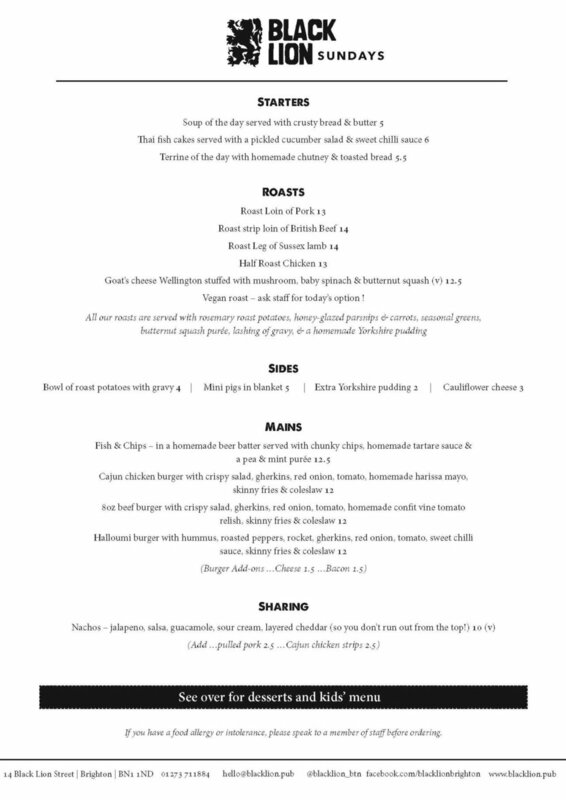 He's launched a fantastic new Autumn/Winter menu that we think you’ll love. Along with his dynamic kitchen team, Gerald promises to build on the Black Lion’s growing reputation as one of the best pubs in Brighton to enjoy your lunchtime, early evening or weekend dining. We think we've got it just right with our selection of homemade roasts - make sure you book as well fill up quickly!